T-Mobile seems to be one of the world-known brands which uses the dance communication system for its commercial strategy during year 2009. 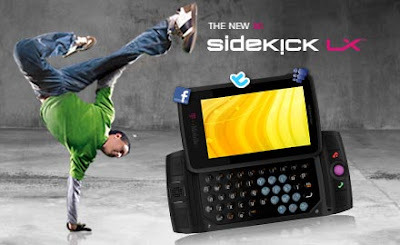 After the special T-Mobile Dance, which says "Life's for sharing" and was realized more like online campaign, in August 2009 appeared new TV spot for the T-Mobile presentation of Sidekick LX with 3G. It shows street dancers whose extraordinary moves are compared to the new phone model Sidekick. 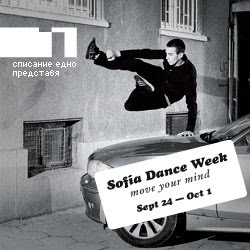 On 10th of September was presented the first show from the Official program of Sofia Dance Week festival. It was free for public and happened in the city center, in front of the Telecommunications Palace of Sofia. In fact, the artists from Compagnie Les Passagers used as a scene the walls of the building. The event was also representing the Official Rebranding of the General Sponsor of the festival - the Bulgarian telecommunications operator merged its two brands BTK (Fixed Telephone Services for Home) and Vivatel (Mobile Services) into one - Vivacom. Sucessful and original event, worthy for the public. The cultural dance festival Sofia Dance Week 2009 was officially promoted with the first flash mob dance in Sofia. The idea was to call the attention to the culture of dance and its place in the modern way of life in a big city. The event was sponsored by "One" magazine, choreography and organization - Studio Dance Zone. Developing the idea for Dance as Communication system and in the contest of the Advertising communication, I would like to share my first attempt for Commercial spot production. It was made November 2008 for Studio Dance Zone and is called "Express Yourself". Main idea: Studio Dance Zone - a place to express yourself in a way better than words, to communicate with others and to discover your personality through the powerful system of movements called dance. Starring: Petia Dimitrova, Sashka Dimitrova, Milen Dankov (main choreographers at Studio Dance Zone). Nike is one of the pioneers who use dance in their Advertising strategy. All started with the powerful campaign for Nike Women 2006 where world's greatest women street dancers introduced Dance as a sport, culture and way of life with Nike shoes and clothes (check out the video at "Dance in Advertising Communication" section of this blog). 1. Nike Free Your Style - a contest for street dancers. And the big price is...custom designed Nike Air shoes. This initiative was a great success with participants from all over the world - all of them wanting to be the best free style dancer with a pair of Nike shoes dedicated to his style. Check out some of the candidates at Nike's official You Tube Channel - FreeYourStyleEurope. 2. Nike Air Troupe Design Battle - a competition for dance shoes design, based on the same idea of Nike Free Your Style. This time Nike is calling not only the street dancers, but all new&old school design maniacs. The connection between Dance and Design is emerging in an interesting project developed by the team of Bulgarian "One" magazine. In 2008, they started to organize one-week festivals in Sofia with the ambition to enrich the cultural life of the city as a European cultural capital equivalent to cultural centers such as Milan, Paris, London and Barcelona. Take a look and see that the festival programs are rich enough to accomplish the final aim - to Pin Sofia on the European Culture Map! P.S. : Expect more hot news from Sofia Dance Week 2009 soon!